Venezuela's US-backed political opposition has capitalized on the country's dire lack of foodstuffs, using the crisis to destabilize the local population. However, Russia won't allow this "food blackmail" of the country, the Latin American nation's Minister for External Commerce and International Trade told Sputnik. The food crisis in Venezuela is being exploited by the country's opposition, which aims to destabilize the political situation in the country with the open, decisive and shameless support of the US, Venezuelan Minister for External Commerce and International Trade Jesus Faria told Sputnik on the sidelines of the St. Petersburg International Economic Forum (SPIEF), which wrapped up on Saturday. However Russia, the Minister said, won't allow the food blackmail of Venezuela by large imperialist states. Deliveries of Russian wheat are playing a decisive role in tackling the food crisis, Jesus Faria said. 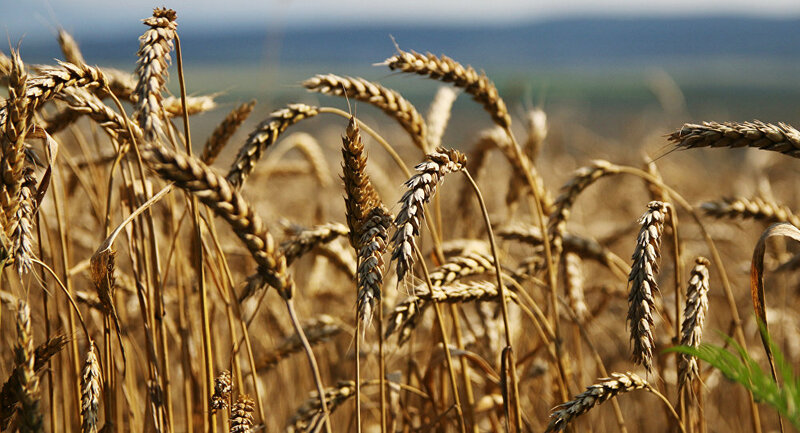 The two countries have been working on the development of the program to deliver Russian wheat to Venezuela. Wheat remains the key component of everyday food rations for Venezuelans, the Minister noted. Jesus Faria has thanked Russia for the aid it provides to his home country in various spheres. "It is very important aid and a very decent and constructive position of the Russian government to stimulate dialogue, peaceful coexistence and the respect of democracy in our country," he told Sputnik. Russian aid, he said, is a very important contribution as it allows for the creation of certain conditions, background and climate for a constructive dialogue. The Venezuelan government highly appreciates all the projects which Russia is taking part in. Among these projects, he said, there are very important energy and military ventures. "There are very serious investments of certain Russian companies in our country, connected with the energy and military spheres; arms supplies for the defense of our sovereignty," he told Sputnik. In a separate interview on the issue, Carlos Rafael Faría Tortosam, the head of the Venezuelan diplomatic mission to Russia, told Sputnik that Caracas, in turn, is reviewing an opportunity to expand their food supplies to Russia. "What we are seeing now is that the smaller countries in terms of economic development, territory and population, were able to get access to the Russian food market. Thus we have wondered why Venezuela has not done it so far," the diplomat told Sputnik. He further specified that the deliveries of tropical fruit can become the major element of such cooperation. "We are talking about bananas. The largest deliveries of this fruit are provided by Ecuador, a neighboring country with a similar model of development. We are able to deliver mangoes and citrus fruit like oranges and tangerines. Russia consumes a lot of tropical fruit juice, hence there are wide opportunities for cooperation," Carlos Rafael Faría Tortosam said. Venezuela is also able to deliver high quality coffee and cocoa, the diplomat said. It is also very important for Venezuela to develop in areas where Russia is traditionally strong, such as its forest-based sector. "We can develop the woodworking process or manufacture of paper from wood pulp," he said. The diplomat also noted that Venezuela has one of the largest metal industries in Latin America. "We have plans for the development and expansion of the existing capabilities of this industry. In our opinion, Russia is a very good candidate for the implementation of these plans through its companies," Carlos Rafael Faría Tortosam concluded.